ARCTIC CIRCLE - Two Los Angeles-class submarines arrived at U.S. Navy Ice Camp Sargo, a temporary station on top of a floating ice sheet in the Arctic, March 14, as part of Ice Exercise (ICEX) 2016. USS Hartford (SSN 768) from Groton, Connecticut, and USS Hampton (SSN 767) from San Diego will conduct multiple arctic transits, a North Pole surfacing, scientific data collection and other training evolutions during their time in the region. "Submarine operations as part of ICEX provide the necessary training to maintain a working knowledge of an extremely challenging region that is very different than any other ocean in the world," said Cmdr. Scott Luers, ice camp officer-in-tactical-command and deputy director of operations for Commander Submarine Forces in Norfolk. "Navigating, communicating and maneuvering are all different in an arctic environment as there are surfaces both above and below a submarine." ICEX 2016 is a five-week exercise designed to assess the operational readiness of the submarine force while also continuing to advance scientific research in the arctic region. The Navy's Arctic Submarine Laboratory, based in San Diego, serves as the lead organization for coordinating, planning and executing the exercise involving two submarines, multiple nations and more than 200 participants. 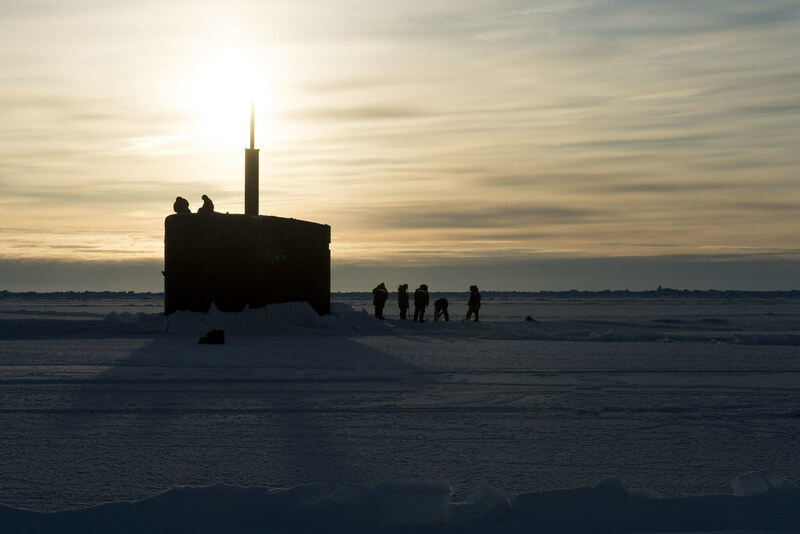 "Our Arctic Submarine Laboratory, led by Larry Estrada, continues to be the world leader in Arctic undersea operations," said Rear Adm. Jeff Trussler, commander, Undersea Warfighting Development Center. 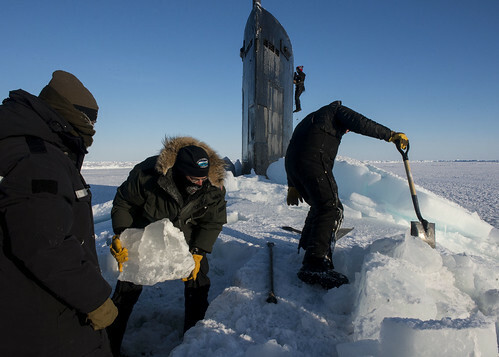 Submarines have conducted under-ice operations in the Arctic region for more than 50 years. USS Nautilus (SSN 571) made the first transit in 1958. USS Skate (SSN 578) was the first U.S. submarine to surface through arctic ice at the North Pole in March, 1959. USS Sargo (SSN 583), which the temporary ice camp is named after, was the first submarine to make a winter Bering Strait transit in 1960. Since those events, the U.S. Submarine Force has completed more than 26 Arctic exercises. ICEX 2016 is the latest exercise demonstrating the important and unique role the Submarine Force plays in implementing the Department of Defense's Arctic strategy. "ICEX 2016 is our continued commitment to the development of undersea warfare capabilities and tactics in all areas of the world," said Trussler. "Our superiority in delivering effects in and from the undersea domain to the operational commanders is dependent on the regular exercise and demonstration of these capabilities." 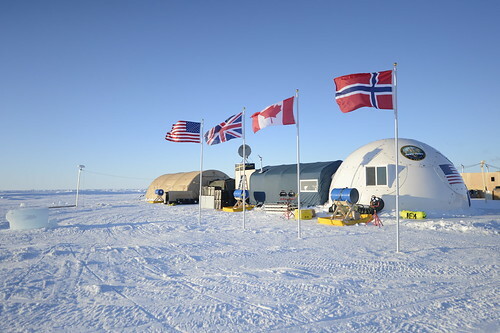 For more information about ICEX 2016 or to see photos, visit www.navy.mil, www.dividshub.net, www.facebook.com/SUBLANT or www.facebook.com/ASL.